The learning creation, organization, and publishing solution for subject-matter experts. Store, organize, reuse and share content, anywhere, anytime. 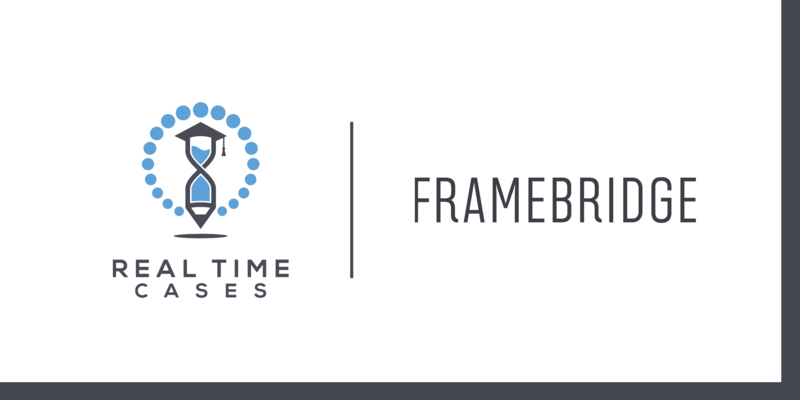 We’re excited to announce a new partnership with Framebridge, an online custom framing service that provides a transparent and technology-driven user experience, as part of our growing portfolio of partner companies working with us to deliver timely, video-based experiential learning activities into the classroom. Launched in 2014, Framebridge has expanded to build their own technology for custom framing and has also secured partnerships with Crate & Barrel, Target, and many others. Framebridge has an interesting background story—the inspiration for the idea came to founder, Susan Tynan, after personally experiencing an unnecessarily challenging and even intimidating process while working to find custom frames for her own cherished art pieces. In light of that negative experience, Framebridge made it their goal to transform the arduous in-person custom framing process into one that is seamless and painless from start to finish. Framebridge enables customers by letting them either physically mail their artwork or upload their own photos, and receive a custom-designed product in a matter of days. As you can see, the case studies explore what it’s like to disrupt traditional markets and rapidly expand, while ensuring that operations flow smoothly and employees are engaged. We believe that the collaboration with Framebridge will help us prepare a new wave of current students to become the innovative disruptors and leaders of tomorrow. Yunzhe Zhou helps people bridge the skills gap through experiential learning – by creating 30 day implementation projects. You can check out her writings on accelerated learning and experiments on life + work here. FAQ Series: What If I Already Use Free Online Resources?